Joining a Plano Chamber committee or volunteering at an event is a great way to increase your visibility among local member businesses. There are many opportunities based on your experience and time availability. 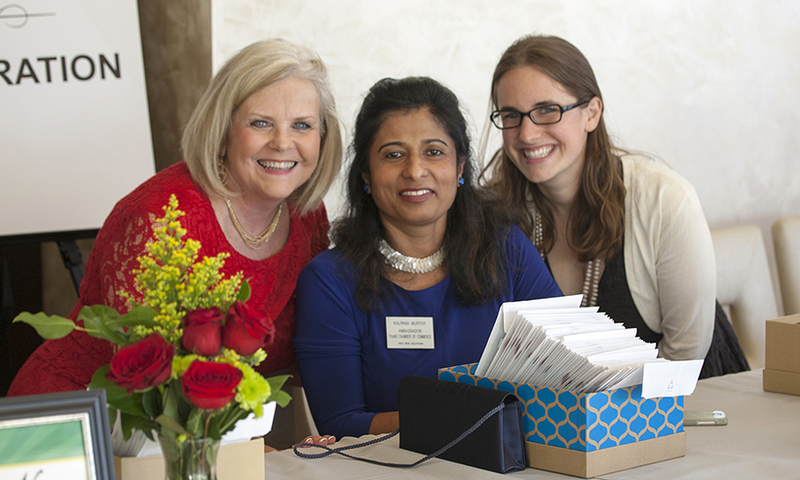 The Ambassador Club is for Plano Chamber business and community members who volunteer on behalf of the Chamber by making goodwill calls to new members, participating in ribbon cuttings, and volunteering as needed. Friendly competition is encouraged between the Ambassadors with special recognition at the monthly Ambassador Focus Forum. Contact the Membership Team for information on how to join or view the Plano Chamber Events Calendar for upcoming ribbon cuttings and other Plano Chamber events. The Business Development Committee meets monthly to organize the Plano Chamber’s Success in Business seminars and gather valuable business development resources for members. Interested in joining? Contact Cassie Ram for more information. The Business Interchange (BI) Committee meets monthly to discuss how to continue building upon the success of these weekly networking meetings. The BI Committee also plans special events, donation drives, and chooses the new host or hostess every six months. Contact Ryan Minter to get involved. Leadership Plano is planned with the assistance of a Board of Directors, which are composed of representatives from the three most recent classes. For information on the Leadership Plano program and how to apply for the next class, please contact Kelle Marsalis. The Public Policy Committee is open to any member of the Plano Chamber with a long-term interest in public policy and legislative matters. Visit the Plano Chamber Events Calendar for information on the next Public Policy Committee meeting or contact Jamee Jolly. The Women’s Division Board is composed of Plano Chamber members who support the Women’s Division mission. Elected once a year, these members schedule the monthly speakers, special programs, compile the newsletter, and assist with the monthly luncheons. For more information, contact Ryan Minter. Young Professionals of Plano (YPP) focuses on personal and professional development for young professionals between the ages of 25-40. The YPP Executive Committee provides input on future events, program topics, and more. Contact Cassie Ram for information on how to get involved. Periodically, the Plano Chamber will need volunteer assistance at a specific event or program. Plano Chamber staff will open this volunteer opportunity to the Ambassador Club, but other members are welcome to volunteer as available. Please contact Cassie Ram for more information.